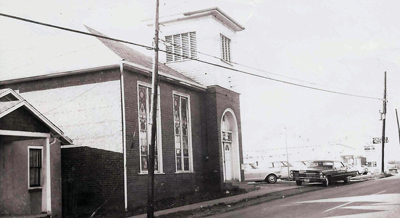 As in the case with many African-American congregations in the South, the history and origins of Bethel Baptist Church of Morristown are inextricably linked to a Caucasian congregation. Although it is difficult to know precisely at what point the African-American Bethel Baptist was organized as a congregation, independent of the white "mother church", the latter was organized in 1803 by the Rev. Isaac Barton. 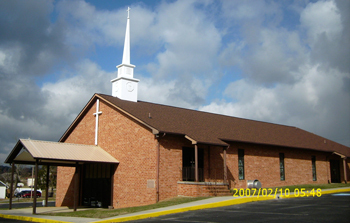 This congregation was composed of members who had migrated to Morristown from East Hamblen County, specifically in Whitesburg, to distinguish itself from another congregation in another part of the county sharing the same name, the "mother church" soon called itself Bethel South (for "south" on the Holston River). The original house of worship, a log building dating to 1856, was located on the corner of what is now North Cumberland and Cherokee Drive. This building also served as a slave market and a hospital for both Union and Confederate troops of the Civil War. This building was eventually conveyed to Rev. Dr. Judson S. Hill, a white Methodist Missionary and educator and founder of Morristown College. The former church building became the first building of Morristown College. Extant records from the period indicate that there were several black members of Bethel South, which later became First Baptist Church of Morristown. More than likely Bethel Baptist Church emerged from freed black persons and sharecroppers that attended First Baptist Church in the 1800's. It is more certain that the first building to be owned by the fledgling black congregation was a building on South Cumberland Street. It was deeded by Henry Mullins to Arthur Poe, chairman of trustees. Other trustees from the period are; Luke Brownlow, Dave Dickson, Andy Greenlee, Dolphus Harrell, Prince Jackson, Lafayette Kent, Henley Mason, Adam Weaver, and William Wingate. 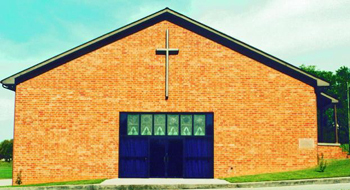 This building with some renovations, served the needs of the congregation until 1987. The names of several of the early pastors are also well known. Historical records of Southern Baptist Churches in the area bear the names of men who also served at Bethel during its early days. Among them are Reverends Azariah and Buck Thompson, who served several churches in Hamblen and surrounding counties. Some years later, Reverends G.A. Nance, H.E. Brown, M.M. Upton and Thomas Knight each held the pastorate of Bethel. Reverend Nance returned to the pastorate of Bethel and served for 33 years, until his death. He was succeeded by Rev. E.H. Bragg, who served for 18 years. Following Bragg’s tenure, Reverends Isaac Robinson, William Prince, Van B. Wynder and Charles L. Willis served the church for a combined period of ten to twelve years. Reverend Frank Houston who began as a "teenage preacher" held the pastorate from 1973-1999. Each of these pastors made unique contributions to the church. A baptistery with an exquisitely beautiful and realistic scene was constructed in the South Cumberland building by Reverend Nance. It was also during his pastorate that the cornerstone was laid in the building in 1914, and intricate stained glass windows were acquired from First Baptist Church. These unique windows were renovated and installed in the new sanctuary, constructed in 1987. Reverend Bragg was well known for his exceptional gifts as an evangelist and pastor. As a result, the church experienced much numerical growth during his tenure. The church purchased a new parsonage under the leadership of Reverend Van B. Wynder. Reverend Willis brought an organizational structure and established financial policies that still benefit the church today. Under Reverend Houston’s leadership, Bethel constructed new worship and educational facilities on Cherokee Drive, which were occupied in 1987. The entire church site consists of eight acres, four of which were acquired the same year the church entered the new building. All indebtedness against the church and grounds were liquidated in 1990. Throughout the building program, the church has remained focused on missions, evangelism, education, discipleship and worship. In addition to the organization and revitalization of several auxiliaries , the church has established several vital ministries, among which are the College Scholarship Ministry (1986), Children’s Church Ministry (1988), Tape Ministry (1990), and Family Life Ministry (1994). Church facilities have housed Headstart, GED, and family skills counseling programs, in cooperation with the Hamblen County Board of Education. The church also hosted a course in conjunction with Walters State Community College. Our current pastor is the Rev. Clifton D. Jackson, Sr., whom was sent to us in August, 2000. Under his pastorate, the transportation program had expanded and now includes two 15 passenger buses; Sunday School attendance has increased. Two new classes have been established. Children’s Ministries have expanded and now include a Sunshine Band and Apple Seed.